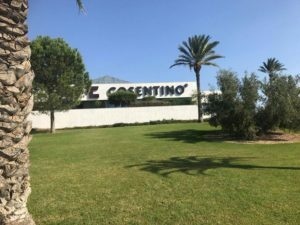 Craig and Jimmy were lucky enough to be invited to visit the Cosentino factory in Spain last week. 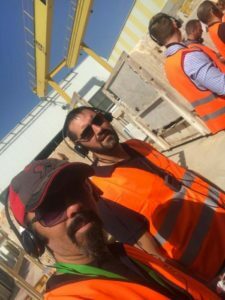 They set off from East Midlands Airport early on Tuesday morning, flying to Alicante where they were met by glorious sunshine. 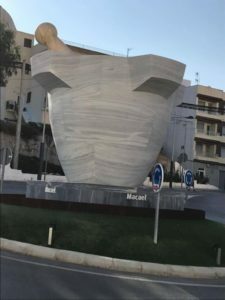 The Hotel Jardines La Tejera in Almeria was their base for the trip. 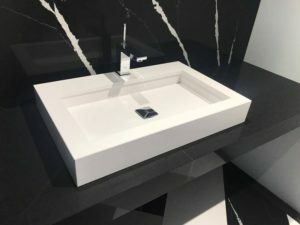 The purpose of the visit was to not only view the latest products but also to learn about the company values and diversity, and their involvement in environmental care. 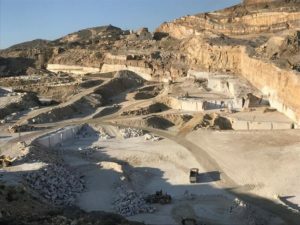 The tour day started with a visit to the Macael marble quarry, where they saw the slabs being excavated and learned about the history of mining in Almeria. The quarry is enormous, and the visitors were all suitably impressed. You can get an idea of the size of the quarry if you look at the lorries in the foreground. 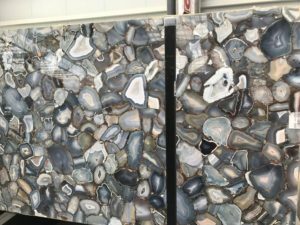 The next stop was the Headquarters where they saw the natural stone area and the 3 Silestone factories, including the showroom. 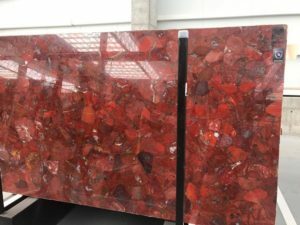 The group headed to the Silestone production plant where they saw the sample factory and went from the warehouse of raw materials to the slab-making process. 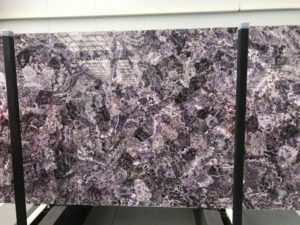 They also visited the cut-to-size factory and the natural stone warehouse where they saw lots of slabs of Prexury, the luxury range of quartz worktops, and granite and marble slabs. Sadly most of them aren’t available in this country, which is a shame as they are absolutely gorgeous. 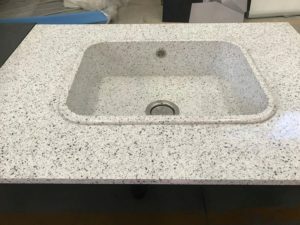 The factory makes a range of sinks and washbasins in Silestone quartz. 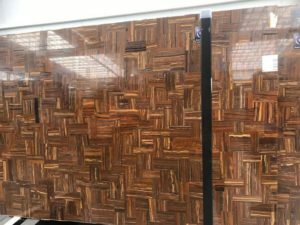 The showroom had these on display, where it’s easy to appreciate their beauty when seen up close. 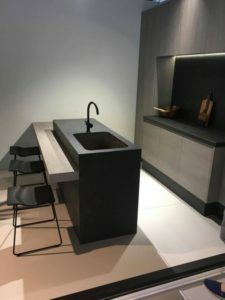 We can supply these sinks for your new kitchen or bathroom, just give us a call for prices.